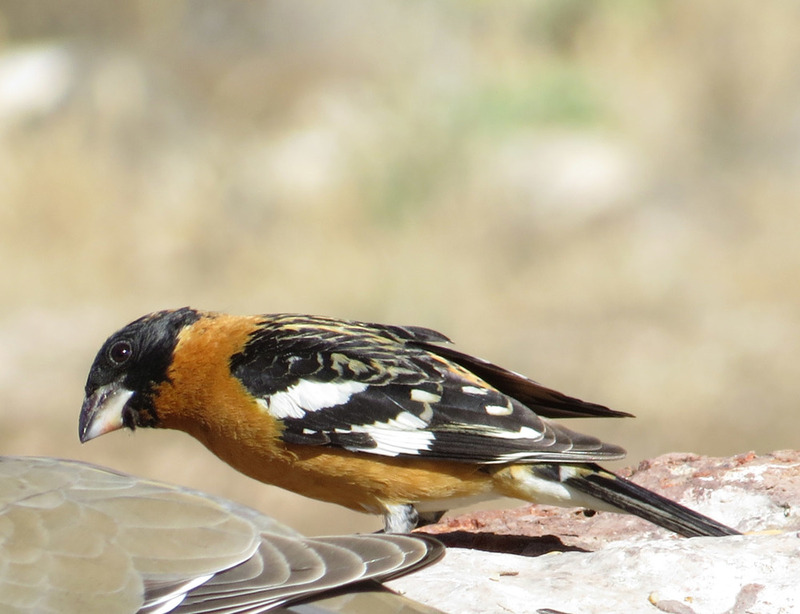 On May 3, while I was visiting in Camp Verde, Arizona, a male black-headed grosbeak (Pheucticus melanocephalus) visited my hostess's feeders just long enough for me take a little video and some photos. The Filming the Feathers video appears below. The photos are included in the video. 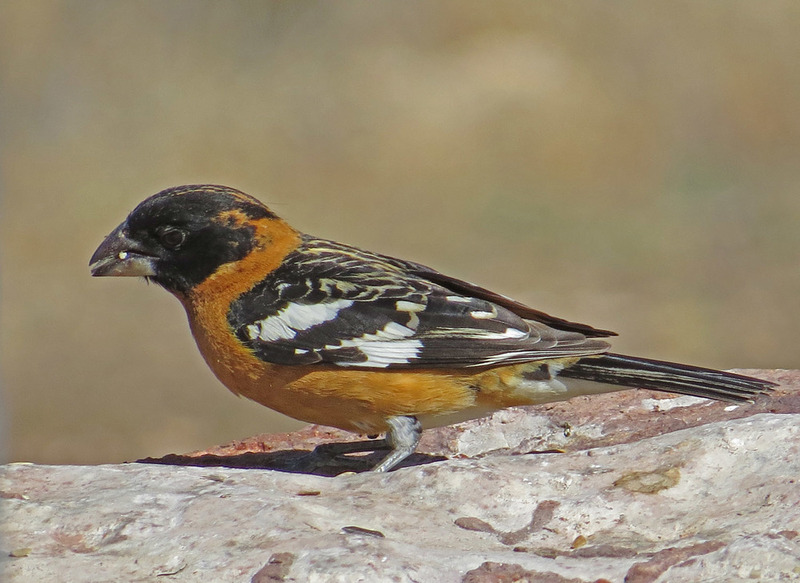 The black-headed grosbeak loves sunflower seeds, so is often seen at feeders. These birds are one of the few predators of monarch butterflies. NOTE: I have learned that I originally misidentified this bird as a Scott's oriole. I apologize. My thanks to Aaron Maizlish of San Francisco, who pointed out my mistake.